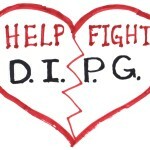 We follow-up and finish our conversation with Randy Hinton, father to Hayley who was diagnosed with DIPG (brainstem glioma-diffuse intrinsic pontine glioma) and perished to that disease some 13 years ago, regarding causes and conditions that remains the burden of parents to discover in their never-ending hunt for answers. We also discuss the world of alternative therapies and the difficulties families face when they wish to pursue treatments outside of the “box” of mainstream medicine. 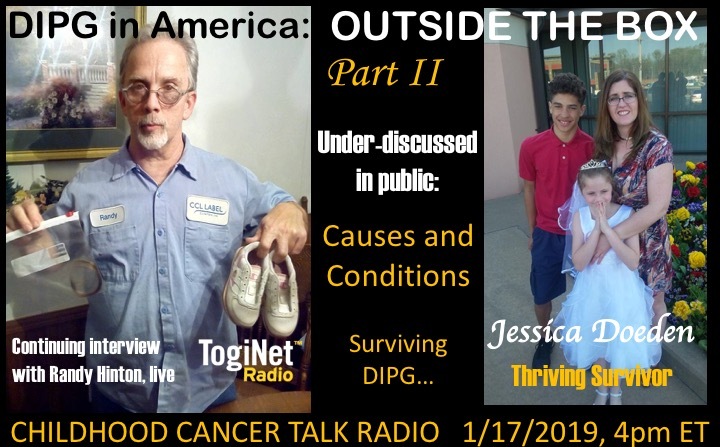 And then, we are joined by Jessica Doeden of Springfield, MO, a 34 year old survivor of the notorious DIPG, and hear about her success with the controversial therapy at the Burzynksi Clinic in Houston, TX. 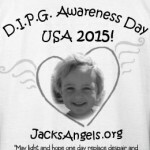 alternative therapies, brainstem glioma, Burzynski Clinic, controversial therapy, DIPG, Houston TX, Jessica Doeden, Randy Hinton, Springfield MO, survivor. Bookmark.